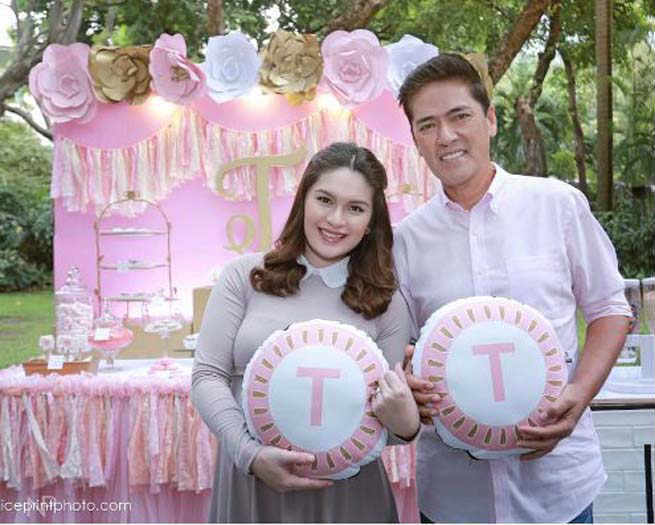 “Eat Bulaga” hosts Pauleen Luna and Vic Sotto celebrate the birth of their daughter with a joyous baby shower. The happy couple had an intimate gathering with close family and friends on Saturday (September 30, 2017), in celebration of the soon-to-be born daughter of Pauleen and Vic. The baby shower looked lovely as it was a garden party, that even had a pink colored venue.